What better way to celebrate Parks & Recreation Month in July than to explore the beautiful parks that significantly enhance our community’s quality of life. With College Station’s 50 developed parks covering more than 1,300 acres, we have plenty of room and activities for everyone. >>> W. A. Tarrow Park, 1000 Eleanor St.
College Station Parks and Recreation offers more than 60 play units in our city parks, but this one leaves you especially gaga. Everyone’s going gaga over gaga – but what is it? Gaga is a fast-paced, high-energy sport played in an octagonal pit. It’s a kinder, gentler version of dodgeball that combines the skills of dodging, striking, running and jumping. Participants try to hit opponents below the knees with a soft foam ball. Players must keep moving to avoid getting hit. It’s fun and easy and provides a serious workout. The more players, the better! After your gaga game, you can go cool off at the free outdoor splash pad. The fun, brightly colored tipping buckets and directional spray areas safely entertain kids of all ages. The fully accessible splash pad is open from 9 a.m.-8 p.m. on weekdays and noon-8 p.m. on weekends through Labor Day. >>> Stephen C. Beachy Central Park, 1000 Krenek Tap Rd. What better way to enjoy nature than going on a simple picnic? Stephen C. Beach Central Park offers lots of green space to enjoy an outdoor meal. You can set up a classic picnic under the trees by the pond and watch the ducks and fishers, sit beneath the gazebo, or use a picnic table and cookout on the barbeque pit. The park also offers a covered pavilion with restrooms. The most beautiful thing about a picnic is its versatility. You can make it simple or sophisticated with many days of planning or quickly pack the essentials for some impromptu fun. Of course, there’s more to picnicking than just eating, and Central Park has plenty of fun activities. You can play a pickup game on the basketball courts, or play sand volleyball, flag football, soccer or frisbee on the athletic fields. The park also has a pair of lighted tennis courts, a play unit for the little ones, a one-mile walking trail, and two ponds stocked with plenty of hungry fish. >>> Veterans Memorial Mile & Lynn Stuart Pathway, 3101 Harvey Rd. The Veterans Memorial Mile is a mile-long path that reveals our military history through 700 brick pavers embedded in the sidewalk. Where else can you get a vivid history lesson while exercising in a beautiful setting? A trip around the loop provides a year-to-year historical progression. The Lynn Stuart Pathway is a half-mile walking path through a wooded, shaded area that features a series of historically correct bronze statues. The interpretive panels and statues provide strong visual representations of the brave veterans who fought in battles throughout our nation’s history. We encourage you to get off the beaten path and explore our more than 30 miles of nature and jogging/walking trails. >>> Barracks Park, 205 Capps Dr.
Oh, the dog days of summer! Take your canine companion out for some summer fun at Barracks Park, a fenced-in recreational area with benches and a covered shelter for owners to relax while their pups play. You’ll need to keep them hydrated with the fountains at the side of the park. >>> Lick Creek Park, 13600 East Rock Prairie Rd. With five miles of wooded trails to conquer, Lick Creek is for owners and dogs that prefer a little adventure. >>> Steeplechase Park, 301 Westridge Dr.
Steeplechase is the perfect playground to release than pent-up summer energy with play units for the kids and a fenced-in area for your pup. >>> University Park, 300 Park Rd. University Park has opportunities for both small and large dogs with separate fenced-in play areas. It also has a walkway through the woods that leads to a large pond. Let them cool off, jump in the water for a swim, and frolic with the other dogs. College Station’s parks do much more than enhance our quality of life and provide recreation and leisure activities. They’re also ideal places to raise your Instagram game. After all, if you didn’t take a picture, did it really happen? Even if you have lived here for years, you will find a plethora of picture-worthy treasures, hidden gems, and overlooked sweet spots to capture on camera. >>> Brison Park, 400 Dexter Dr.
Tucked in the Southside Historic District just a few blocks from the A&M campus is nine-acre Brison Park, a neighborhood oasis that might be the most beautiful and serene green spot in our entire parks system. Acquired in 1947, it’s among our oldest parks and is full of historic character with 100-year-old oak trees, a seasonal stream, and gently rolling hills. >>> Gabbard Park, 1201 Dexter Dr.
Gabbard Park has all the elements to supply beautiful photography backdrops. You can find flowers and trees blooming with color, classic park benches overlooking a pond occupied by paddling ducks, a walking bridge, and a winding, lighted trail. Many people consider the 515-acre Lick Creek Park to be the crown jewel of College Station’s park system. As the area’s premier nature preserve, Lick Creek displays a variety of native plant and animal species, including the endangered Navasota Ladies Tresses. The park has five miles of marked trails and opportunities for hiking, cycling, bird watching, equestrian activities, and nature study. Lick Creek is a nature lover’s dream. 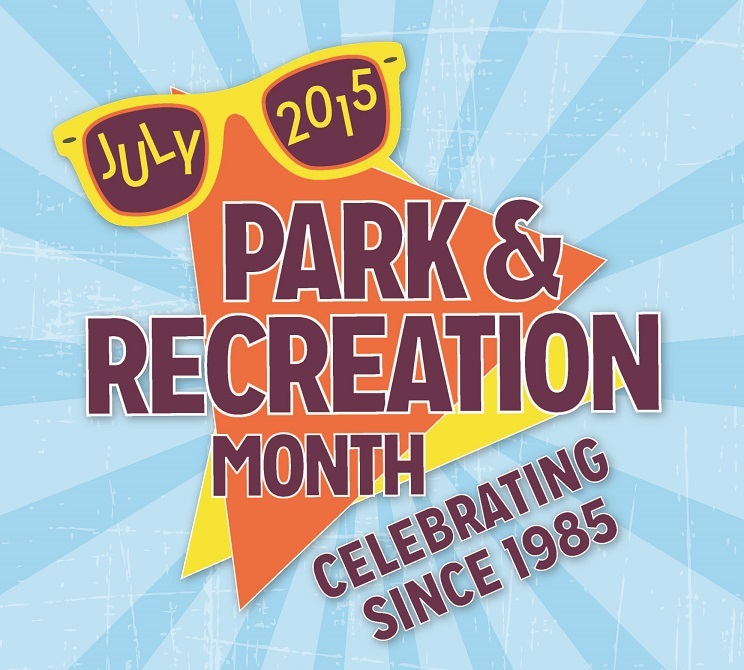 Take advantage of Parks and Recreation Month and discover something awesome right here in College Station! College Station’s Parks & Recreation Department maintains 55 parks covering almost 1,400 acres, not to mention a variety of recreational facilities and programs. In fact, we like to think we have something to offer everyone. In honor of Park and Recreation Month, let’s review our local parks and recreation history and see just how far we’ve come. Not long after College Station incorporated in 1938 – with a population of about 2,000 – the first city council created a parks board to manage public parks and grounds. In 1947, the city purchased land from F.B. Clark and Hershel Burgess to establish our first municipal park.